Ashwood Crumb Catcher - Cal-Mil Plastic Products Inc. Looking for a way to clean up all those messy bread crumbs? This item is for you! 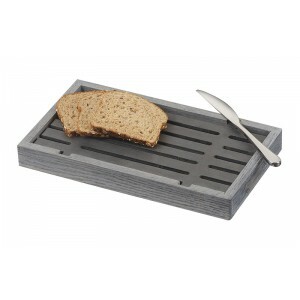 This cutting board features a slatted top for the crumbs to fall into to keep your working area clean and organized. This is a perfect item to add to your bakery, restaurant, or hotel.